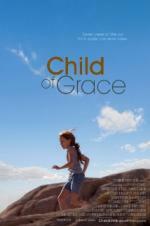 Buy or Rent Child of Grace (2014) Movie DVD & BluRay Online! Movie Plot: 9-year-old Katie has spent most of her life traveling the country in an RV with her father. One day she sees a portrait of herself on a missing child poster and realizes that the man she thinks is her loving father may be her kidnapper. As Katie contends with this discovery, a small-town sheriff, her grandfather, simultaneously tries to figure out the truth of her disappearance when new evidence surfaces. Based on the novel June Bug by Chris Fabry.